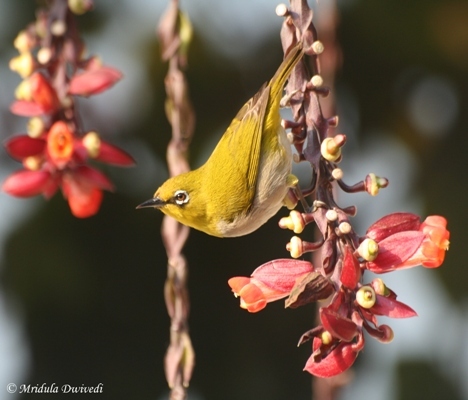 The Joys of Bird Photography! 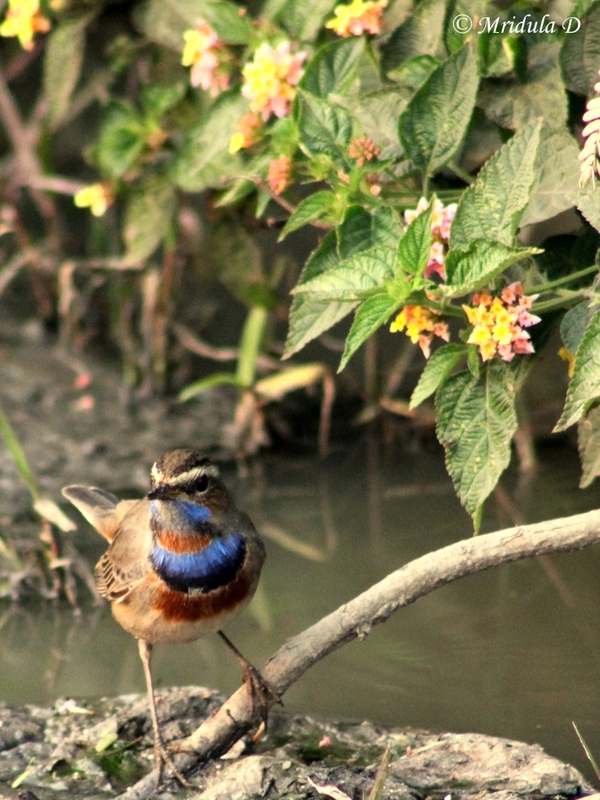 Before I bought a 75-300 zoom lens (and that was a long time ago) I was blissfully unaware of birds! 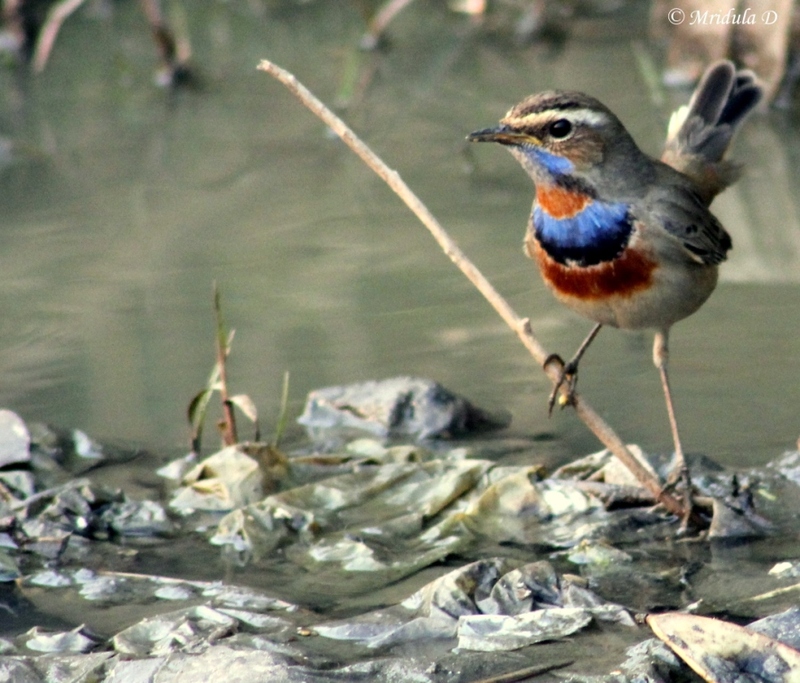 I was of the opinion that there were no birds in Gurgaon. 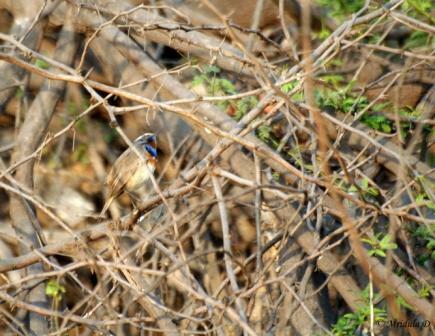 I could probably identify a sparrow even then but all that is a thing of past now. One day I was saying something softly to Chhavi and she turned around and whispered, “why are you speaking softly, is there a bird around?” That is the current state. I have such a love hate relationship with bird photography. I love it when I am able to capture a decent picture, but that happens so very rarely. Before I discovered the Burst/Sports, mode bird photography used to be literally painful. I distinctly remember trying to photograph a green bee eater at a close range. Freezing anything with a single shot for a bird was almost impossible. And yet I tried till I got a crick in the neck. And then I saw (or rather heard the continuous click of the camera) someone at Bharatpur shooting in burst mode, and it dawned on me that the mode existed for a purpose! That leads to my next favorite subject. As I have only a puny 75-300 zoom to use for my bird photography, I need to creep closer to the bird. So my modus operandi is something like this, which I have perfected after many trials and errors. I start clicking as soon as I spot a bird. I now shoot birds in continuous modes only. Then I try to inch closer to the spot as quietly as I can. If Chhavi is with me, it is well impossible to do so. She is capable of scaring a bird away from a mile when she tries to keep quiet. Otherwise she can scare them away from 5 miles at least. Thank God that Landscapes Don’t Fly Away! There have been times when I am happily shooting landscapes, god bless them, they never fly away. I will have a wide angle lens on my camera and right next to me, I am sure they do it on purpose, an exotic bird will come and plonk itself. Now I get all in tizzy. I creep softly to where my zoom lens is lying, I try to change it at a breakneck speed. and as soon as I turn back, the bird has but of course flown away. Then I have tried tracking birds in flight. The less said about it the better. If it is difficult to click them when they are sitting, it is outright torture to try the flight bit. I can never locate them in my viewfinder to begin with. If by some miracle I do locate them, it is even a bigger miracle if I can track them as well. And when I see the shots, they are all blurred. And yet when on a rare moment I am able to take a half way decent shot, it is sheer magic! 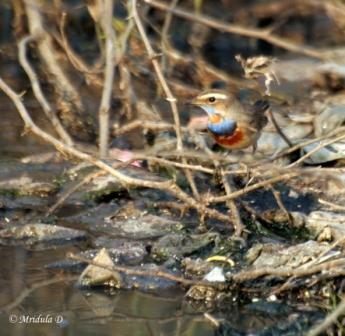 A Blue Throat, clicked with my new Canon 75-300, I am loving it. 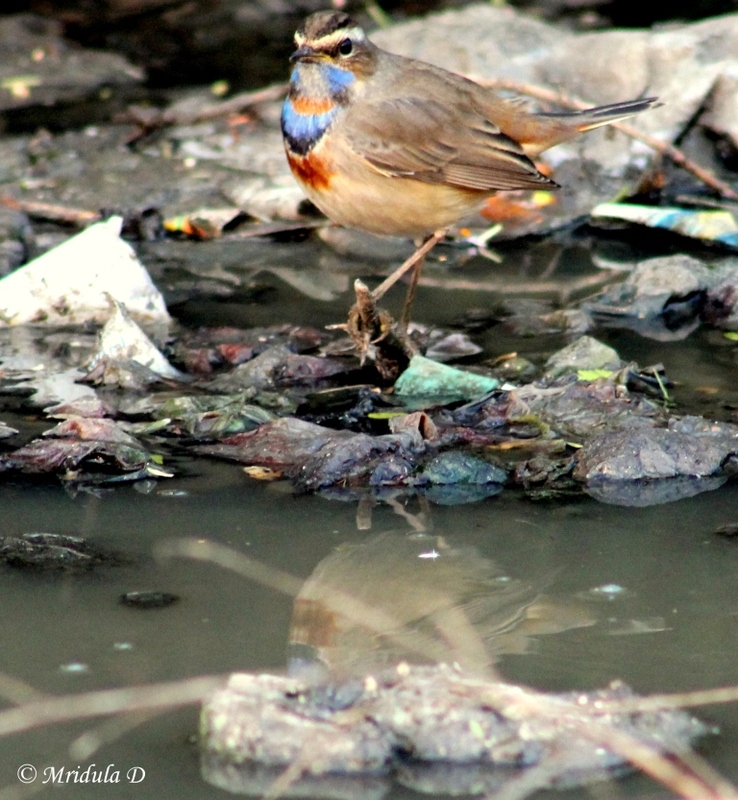 Such a beautiful bird and I always find it near the drainage! 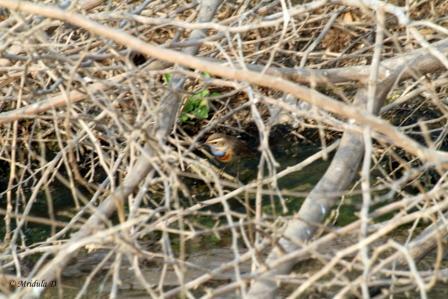 It is not difficult to spot the Blue Throat near the Ganda Nala (open drainage) but it is certainly a game of patience to wait for it to come out in the open, relatively speaking. After 45 minutes of sitting patiently this is what I got. If I do not get to see the bird from an angle where the neck is exposed it is only because of the movements its presence can be sensed. 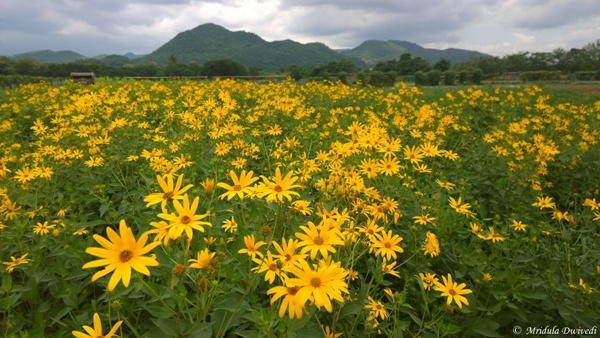 Otherwise its brown color blends just well with the surroundings. And then after an hour and fifteen minutes it decided to give me a better view by coming out relatively in the open. But then ain’t it pretty?